We are pleased this month, during our exploration of the Belle Coeur Chamber of Devotion, to offer the wisdom of Bridget Mary Meehan as the first guest-blogger for Herstoriae. In this first of two blog posts, Bridget Mary helps us to go deeper and explore journaling as a prayerful and devotional practice. Keeping a journal helps us become more conscious of the spiritual meaning of particular events in our lives. Somewhere in the midst of our hectic daily routines, it is good to take time to reflect on the deeper significance of certain occurrences so we can put them into perspective and comprehend their value in the light of eternity. Writing our emotions, feelings, sensations, and thoughts can help us become more sensitive to ourselves, other persons, and the Holy One dwelling within us. Through journal keeping, we can also discover what really occurred in an experience, because we remember in a different way, recalling all that our senses experienced. This takes time and results in a deepening appreciation for the treasured gift of every moment of life. A journal is a tool that helps us toward this end. Using both the senses and imagination, we look at the event from the inside and not as a bystander. As we write about these experiences, they become clearer and more meaningful more so than our mere thought processes can net. Journal Prayer helped a young woman who was extremely angry and upset at being rejected by her boyfriend. She was physically attractive, intelligent, and had a promising career. Since she was approaching her late thirties, she worried that she would never be married. For several years she had put all her energies into developing close relationships with male friends, hoping to find the right person with whom she could enjoy total happiness and fulfillment. Instead, she experienced several heartbreaking entanglements that caused her bitter disappointment. After trying several different healing prayer forms, Journal Prayer helped this woman discover her own self-worth and find ways in which she could live a more fulfilling life. Journal Prayer helped her discover Christ’s presence in her lonely moments and made it clear to her that no one else could totally fulfill her. Her journal became a tool in which she was able to encounter her fear of rejection and look at some of the dark corners in her own heart. This led her to invite the Holy One into these painful areas to free and heal her. As a result of her journal, the woman grew less possessive and fearful of rejection. She also came to a greater appreciation of the power of intimacy and the value of close relationships in her life. As Christians, we gain insights from our own intuitive powers, as well as from the presence of Christ living within us and constantly speaking to us from the depths of our being. In this prayer style, we can invite the Spirit of God to use our intuition and creative powers to reveal areas of our lives that need healing. Some examples of areas that might need deeper healing through Journal Prayer are: distorted images of our masculinity or femininity, painful sexual encounters or relationships, compulsive behavioral patterns, problems with intimacy or inability to express feelings. Journaling about problem areas in our lives that need healing can help us grow for two reasons. First, journaling helps us reflect on and become aware of the meaning of our experiences and behavior patterns. When we have an experience and then express it in some tangible way, the experience becomes more deeply our own. If the incident involves guilt or feelings of inadequacy or powerlessness, it is important to bring these wounded areas of our life into the Divine Light, to share our feelings in some concrete way, and to open ourselves to grace working within us. Second, journaling in an atmosphere of prayer can utilize the intuitive powers of the mind. These powers can be sources of spiritual experiences that reveal to us our inner selves. In my next blog post, I will share some specific practices and techniques to help you explore your journal as a prayer tool. 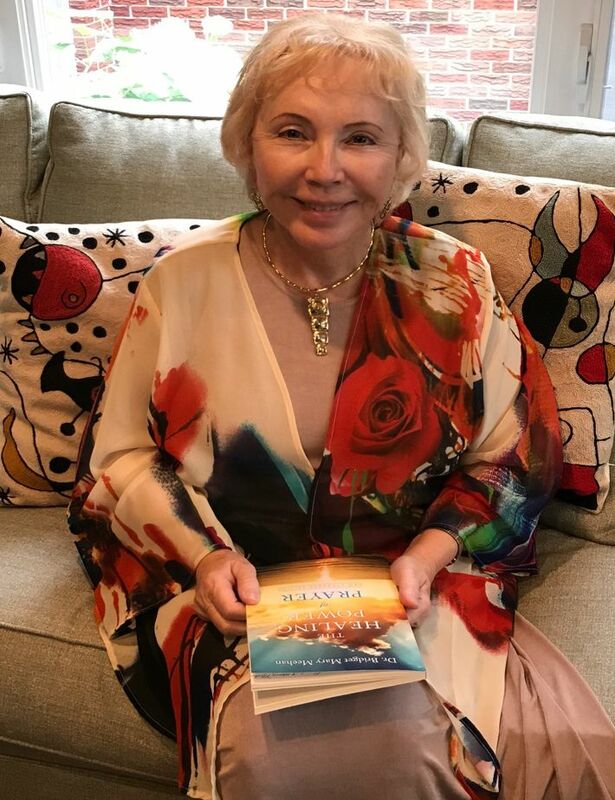 Bridget Mary Meehan, MA, D. Min, ARCWP, a Sister for Christian Community, is the author of 20 books including The Healing Power of Prayer, New and Expanded Edition available on Amazon.